I’ve been working at Ortigas CBD for a few years and I always see Discovery Suites across Podium. It wasn’t until now that I finally had the chance to experience what the hotel has to offer in the middle of the hustle and bustle of Ortigas. 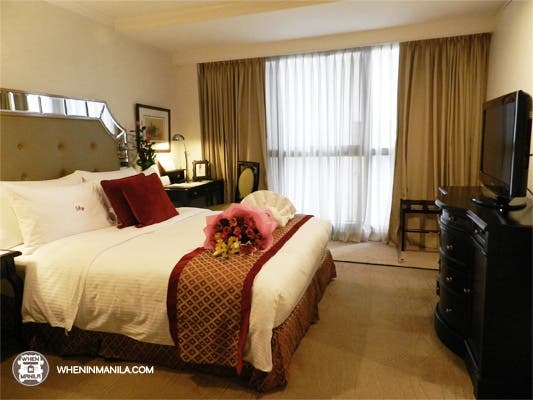 Discovery Hotels, in general, has always been known for their amazing service and Discovery Suites in Ortigas is no exception. As soon as I entered the hotel, the staff greeted me with a smile and helped me through check-in which only took five minutes. They then guided me to my room where I was greeted with nice surprises. I checked-in at a one bedroom suite. The room is perfect for families, couples, and even business travelers. It has a dining room, living room, kitchen, bedroom, and a full bath. What I loved about the suite is how homey it felt like to be there. 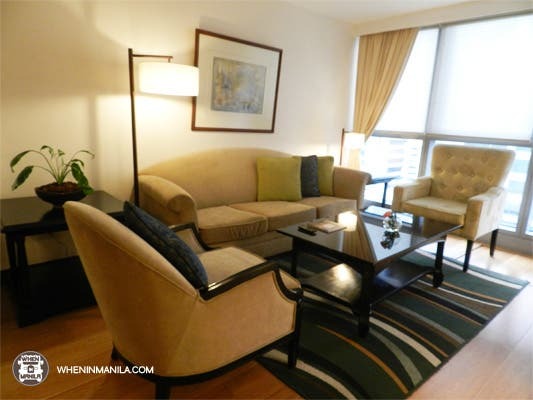 The ceiling-to-floor windows are perfect, providing a nice view of Ortigas. The kitchen is fully-equipped. 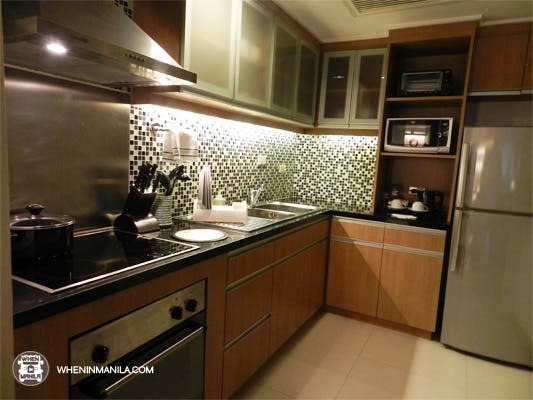 It has pots, pans, tableware, and other appliances that you will need during your stay. You can actually cook there especially for long stays and if you would rather stay in than eat out. The room has a queen size bed, where it was a nice surprise to find a bouquet of flowers waiting for me. The room has a television and centralized entertainment and lighting system to control the whole suite. 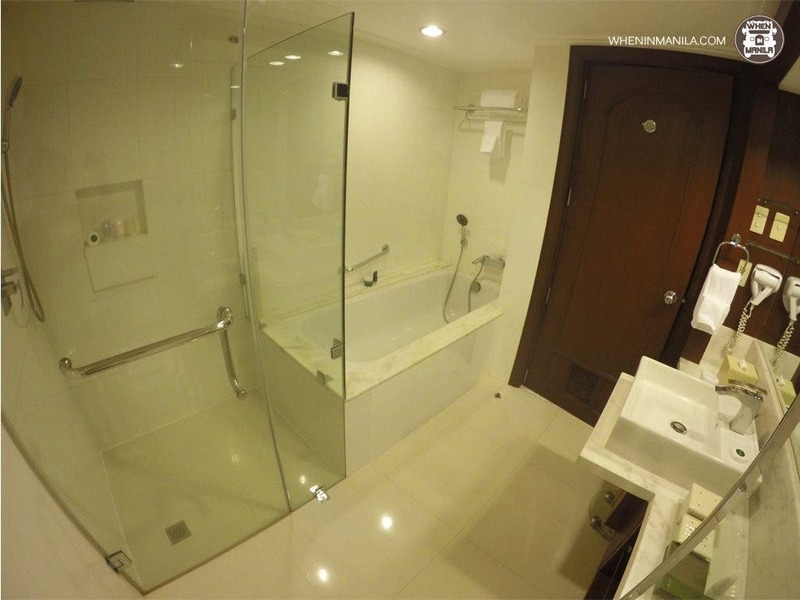 The bathroom has a tub, shower, toilet, and a sink. What I loved most about the bathroom is that they actually provide bath bubbles so you won’t have to sit in just a tub of water. There is also a pool area where you can take a quick dip or swim during your stay. This is the perfect spot to just kick back and relax with your friends or family. 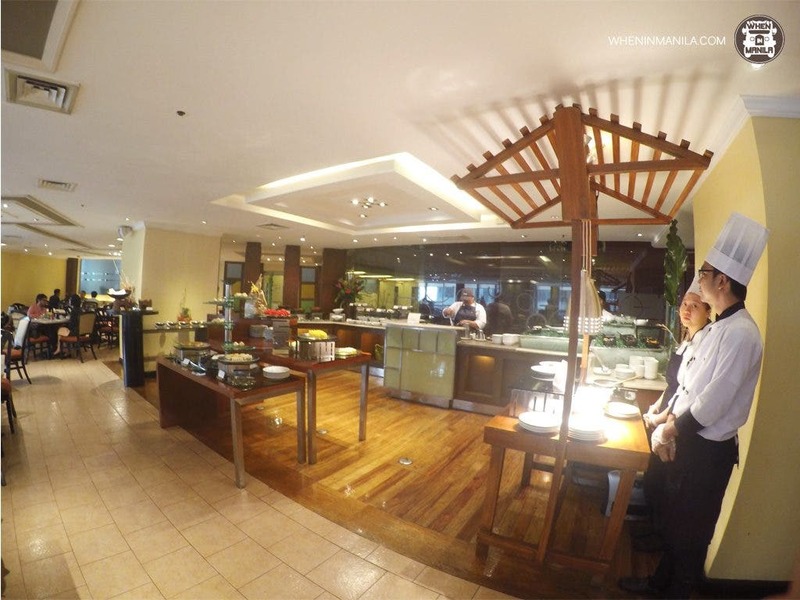 The buffet area is just in front of the pool area and they have a good selection of food for breakfast, or lunch. What is unique about Discovery Suites’ buffet breakfast is their juice selection that is included in the buffet. They have all sorts of fresh juices and even fruit infused water selection. 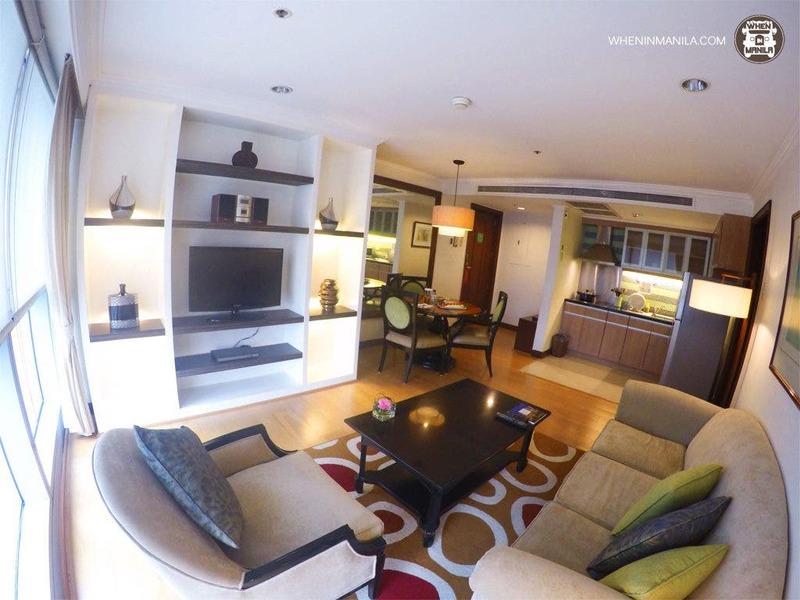 Though Discovery Suites may seem very business-y, the hotel is actually kid-friendly. 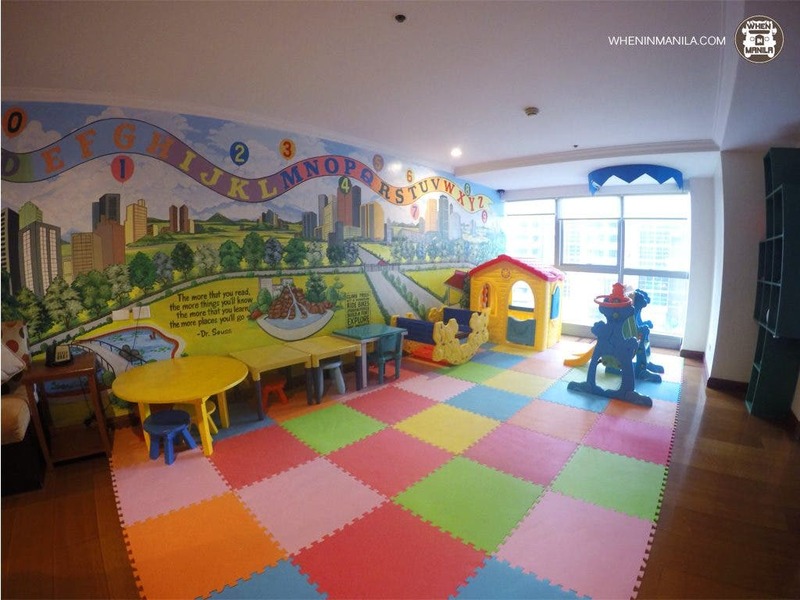 There is a playroom where you can bring your kids to play and enjoy during your stay at the hotel. They also have video games that the kids will surely enjoy. WATCH: "It's the size of my life!"